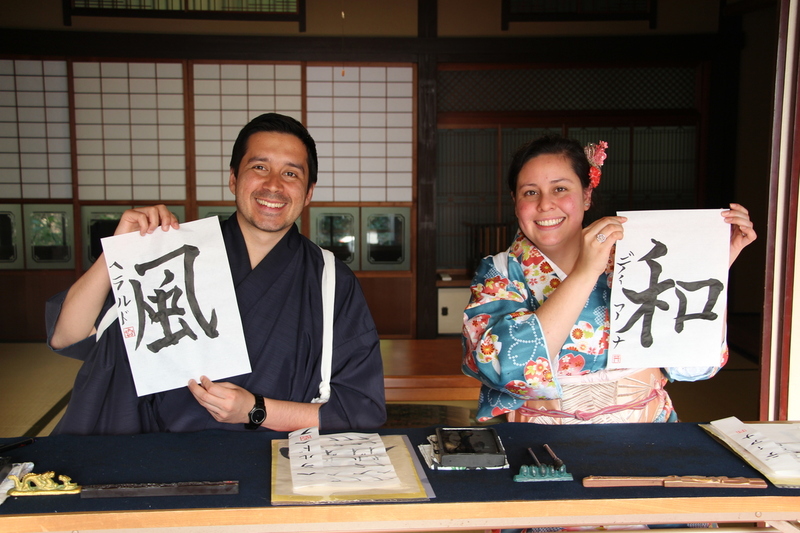 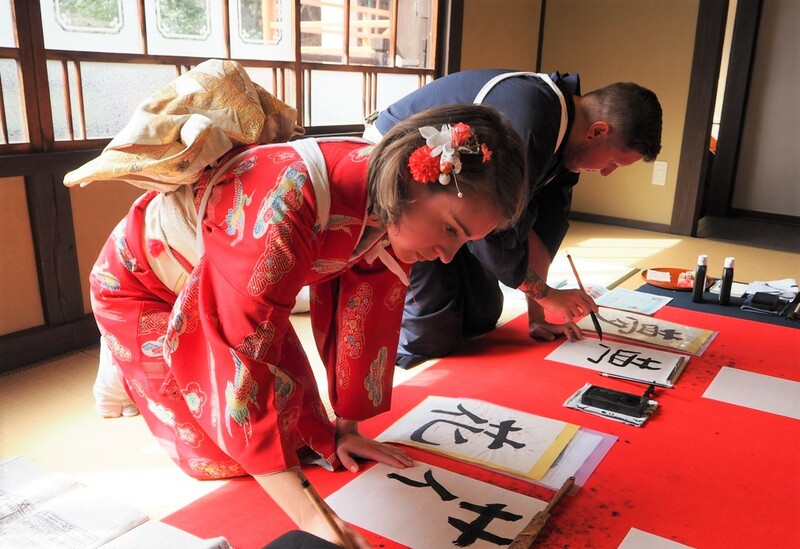 Japanese Calligraphy - okeikoJapan Miyajima - Japanese cultural activities, hands-on experience in Hiroshima! 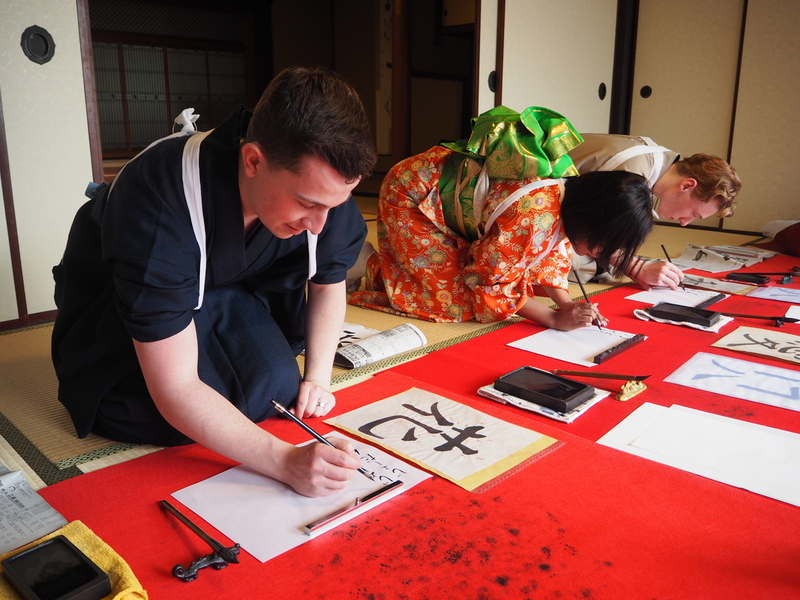 Syodou, Japanese calligraphy is the art that write with bamboo brush and Sumi ink. 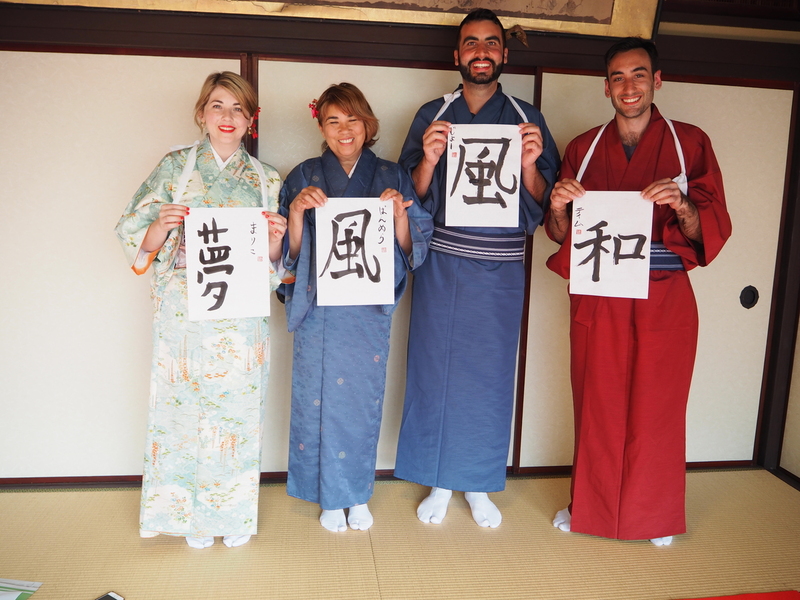 You will choose your favorite Kanji(Chinese Character) from the sample and sign with Katakana (Japanese alphabet). 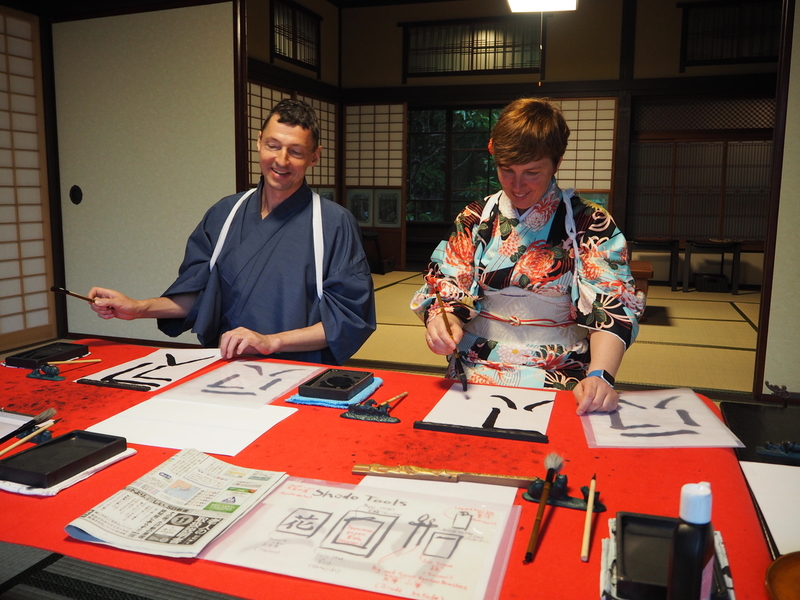 You will take your work with you.